For our daughter's 6th birthday, we decided to indulge her love for singing (and listening to her Taylor Swift CD) and planned a Rock Star birthday party. 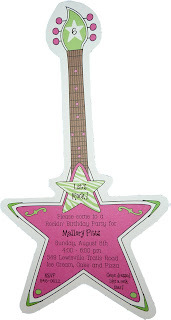 We started with this adorable guitar invitation from San Lori. On the invite, we asked the guests to come dressed as a rock star. We were amazed at how creative they all were. For the party, we put together some of her favorite Disney Princess and Taylor Swift songs and created a mix CD, which we duplicated to use as favors at the party. We also went ahead and gave her our big birthday gift for her, a small karaoke machine. It was a huge hit and, of course, very useful for the party! At a local party store, we found a fun "red carpet" cloth for our hallway and a starry sky background that we taped up in a corner of our den. Instead of a cake, I made cupcakes and turned them into mini-microphones by putting them in small ice cream cones. They turned out super cute! 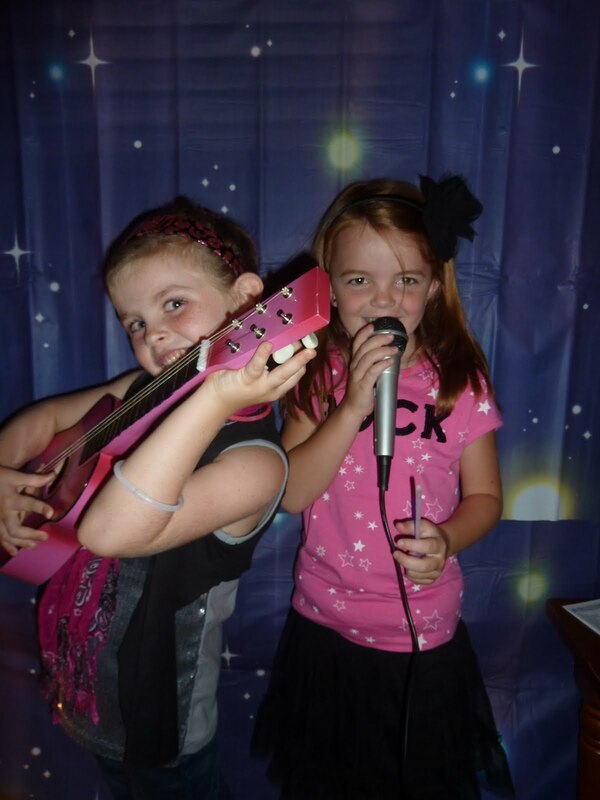 What ideas do you love for a rock star party? Follow Sassafras Paper's board rock star birthday on Pinterest.